Show other documents from eHarmony.com TIP: Try comparing two versions that are closer to one another. When they're too far apart, the comparison may become unreadable depending on how many changes were made. May 11, 2017 A new section has been added entitled "4. PREMIUM SERVICE PHONE CALL". Feb 11, 2017 A new version of these Terms of Service for Premium Matchmaking Services has been posted. May 8, 2015 Paragraph on "Sole Account" removed; Terms about "Introduction Guarantee" changed; Section on refunds amended. Jan 22, 2015 Some clarifications added; Refunds section revised. Sep 11, 2014 The terms under "Introduction Guarantee" and "Refunds" have been modified. Sep 7, 2014 This is the initial version that ParanoidPaul captured. It is not necessarily the first version of the document. Any and all terms that are only addressed in the general eHarmony Terms and Conditions (the “Agreement”) will be incorporated by reference into the PS Terms. All Premium Service purchases or subscriptions may be cancelled, without any penalty or obligation, prior to midnight of the third business day after the date of purchase or subscription of the relevant Premium Service, in accordance with the 3-Day Cancellation section of the Agreement. The following sections in the Agreement, without limitation, will also be applicable to eHarmony’s third-party vendors: Disclaimer of Warranty, Limitation of Liability and Indemnification. In the event of a conflict between the Agreement and the PS Terms or the terms and conditions of any third-party vendor, the Agreement shall control. The RelyID service is an identity authentication service operated by RelyID, Inc. and provided to you through eHarmony’s website. eHarmony and RelyID (collectively “we” or “us”) require you to agree to the terms below before we will provide you with the RelyID service (whether a-la-carte or as part of the TotalConnect bundled package). Truthful Information. You agree that you will only enter information into the RelyID service that is truthful and is about yourself. Legal Use. You agree to use the RelyID service only in accordance with applicable laws and only for lawful purposes. You agree not to access, use, or affect the RelyID service in any way that would interfere with its performance or its availability to or use by other users. You agree not to use the RelyID service in any way that would harass, embarrass, or interfere with the privacy of anyone. Authority to Use and Disclose Information. By providing us any information using the RelyID service, you agree that RelyID and its subcontractors and corporate affiliates may (a) use the information to provide the RelyID service, (b) analyze the performance of the RelyID service and other services that support it, (c) disclose the information to subcontractors and corporate affiliates, (d) disclose the information as required by law, and (e) disclose the information to the person whose identity is being authenticated (which should be you). Refunds. We incur costs to provide you the RelyID service even if the RelyID service is unable to authenticate your identity. Therefore, in addition to our general refund policy in the Agreement, you agree that we will not refund the fee for the RelyID service at any time after you have taken the RelyID verification test, whether or not RelyID is able to authenticate your identity. You further acknowledge that if you fail the online portion of the RelyID identification inquiries twice, then your identification verification may only be completed manually by contacting RelyID, as instructed by RelyID in its verification procedures. Entire Agreement. For your relationship with RelyID, you agree that (a) these terms are the entire agreement between you and RelyID, (b) they replace all other communications between you and RelyID, and (c) RelyID may change these terms by posting the changes on the website http://www.relyid.com. You agree that you can file any legal claims against RelyID only in the courts of Dallas, Texas; you agree that RelyID can file any legal claims against you in the courts of Dallas, Texas. A-La-Carte. If you have purchased RelyID on an a-la-carte or individual basis: (a) you must take the RelyID verification test within 30 days of the date of purchase, and (b) your RelyID badge will remain on your profile until the earlier of 1 year after your validation date or until your account is otherwise terminated. If you fail to take the RelyID verification test within 30 days of the date of purchase, eHarmony may terminate your access to RelyID. Public Data. You agree that RelyID uses public data to verify your identity. If any information provided to RelyID is inaccurate (e.g. providing the nickname “Joe” instead of legal name “Joseph”), you agree that RelyID may be unable to authenticate your identity. The RelyID portion of your TotalConnect subscription commences on your date of purchase of the subscription, and you must take the verification test before your subscription expires. As a TotalConnect subscriber, you may take the RelyID verification test at any time during your subscription, and if you receive a RelyID badge, it will remain on your profile for as long as your subscription is current. If your subscription to eHarmony’s services (including renewals and extensions) expires or is otherwise terminated after 1 year, your RelyID badge will also expire or terminate along with your subscription (unless you decide to purchase the RelyID product separately thereafter). License. You are hereby granted a limited, personal, non-assignable license to use the Secure Call service, for the sole purpose of personally using the Secure Call service. Use of Secure Call. You acknowledge and represent that you have all rights necessary to provide the phone number(s) you provided to us to use Secure Call. You agree you will not use the Secure Call services for any purpose that is unlawful or prohibited by this Agreement or the general Terms and Conditions of the eHarmony website. You agree not to access, use, or affect the Secure Call service in any way that would interfere with its performance or its availability to or use by other users. You agree not to use the Secure Call service in any way that would harass, embarrass, or interfere with the privacy of anyone. Right to Disclose. We reserve the right at all times to disclose any information regarding the usage of Secure Call we deem necessary to (a) ensure your compliance with this Agreement; (b) satisfy any applicable law, regulation or legal process; or (c) protect the rights, property, and interests of us, our employees or the public. Right to Add Features. Twilio, in its sole discretion and without prior notice, reserves the right to add additional features or functions, or to provide programming fixes, updates and upgrades, to the Secure Call. This may result in Secure Call being temporarily unavailable. Refunds. In addition to our general refund policies, you agree that we will not refund you after your first use of the Secure Call service. eHarmony US users may only use Secure Call to contact other eHarmony US users and eHarmony Canada users. eHarmony Canada users may only use Secure Call to contact other eHarmony Canada users and eHarmony US users. eHarmony UK users may only use Secure Call to contact other eHarmony UK users. eHarmony Australia users may only use Secure Call to contact other eHarmony Australia users. Roaming Charges. In addition to the fee associated with your use of Secure Call, you will pay any additional charges incurred if you connect to the Secure Call services while you are in a country that is not the country associated with your fixed net or mobile phone carrier (“Roaming Charges”). Roaming Charges are charged in addition to any fees you may incur by your mobile phone carrier when connecting to Secure Call from another country. Ownership. Twilio retains the sole and exclusive ownership of all right, title and interest in the products and software offered via eHarmony’s Secure Call service and any of the related intellectual property rights relating thereto. Entire Agreement. For your relationship with Twilio, the terms and conditions of this Agreement constitute the entire agreement between you and Twilio with respect to the subject matter hereof and will supersede and replace all prior understandings and agreements, in whatever form, regarding the subject matter. Effective Date. This Agreement will be effective as of the date on which you purchase the Secure Call service and will remain effective until terminated by either us or you as set forth below. Access to PPP. If you have purchased PPP on an a-la-carte or individual basis, you will have access to the PPP and its results for as long as your account remains open. TotalConnect. If you have purchased PPP as part of the bundled product offered by eHarmony, which is currently called eHarmony TotalConnect, your access to and the right to use the PPP and its results expire upon the expiration or termination of your subscription to eHarmony’s services (including renewals and extensions). Access to Service. As we rely on your input to provide your PPP results, you agree to complete the PPP and all the questions therein within 30 days from your date of purchase. If the PPP questionnaire is not completed within 30 days from your date of purchase, we may deny future access to the service. About eH+ eH+ is ancillary to the social referral services offered by eHarmony at eHarmony.com and/or CompatiblePartners.net (each, an “eHarmony Service”), and you are not under any obligation to purchase eH+. Subscribing to eH+ will not allow you to obtain more matches than what would generate during the course of your subscription to the eHarmony Services, but will add a special human touch to the matches generated by the Compatibility Matching System that you will receive under the basic service, and that human touch may result in a different priority ranking in selection and delivery of your matches. Because that human touch is costly and involves personal attention and special judgment, eHarmony charges a premium for eH+. Matchmaker Access to Your Information; Primarily Offline Service eH+ is a premium offering which allows you to use the eHarmony services under the guidance and with the express involvement of a matchmaker (the “Matchmaker”) as described below. You acknowledge that the Matchmaker will have full access to all the information you provide to eHarmony and will use such information solely in connection with providing you with the eH+ service. You also acknowledge that eH+ is a primarily offline service. You understand that after you have completed the Relationship Questionnaire and uploaded photos to your account, your Matchmaker will be responsible for managing the service for you, and you will no longer have access to the online account. Matchmakers will be providing you with feedback on your profile, matches, or anything else connected to eH+. You understand and acknowledge that you are not entering a psychotherapist-patient relationship with your Matchmaker, and eH+ is not intended to take the place of participation in psychotherapy. Interview You agree to be available for an in-depth phone interview with the Matchmaker, to be scheduled at a reasonably and mutually convenient time. During this interview, the Matchmaker will use your eH+ profile to gain more insight into your preferences and requirements in a relationship. You will receive constructive feedback from the Matchmaker on how your profile can be improved or otherwise altered to make it more effective. You also agree to be available to your Matchmaker on an ongoing basis during your subscription term for discussions about your profile, matches, progress and general state of your eH+ account, in order to make the service as effective as possible. Profile Modification Based on the interview or further discussions, the Matchmaker will discuss any suggested modification(s) to your profile and account settings, including without limitation changing your profile responses, and adjustment of the preference and self-select criteria in your profile (in order to bring it into compliance with the interview results). You expressly agree that the Matchmaker will have access to your profile in order to make such modifications, and that you will not have access to make such modifications on your own. Personalized Service. The Matchmaker will review the potential pairings based on your updated profile and other preferences you may have expressed. Our Compatibility Matching System will search the eHarmony database for all your potential pairings, and the Matchmaker will hand-select the best matches for you from such potential pairings. Your profile will not be visible or provided to any of the matches who were generated by eHarmony’s Compatibility Matching System but not personally selected by your Matchmaker as a great match for you. During the term of your subscription, the Matchmaker will continue to review and select matches for you from the pool of potential pairings on an ongoing basis. After the Matchmaker selects a match for you, the Matchmaker will personally contact the match to gauge their interest in your profile. BY REGISTERING TO EH+, YOU UNDERSTAND AND ACKNOWLEDGE THAT THE MATCHMAKER WILL SEND YOUR FULL OR PARTIAL PROFILE VIA EMAIL TO A SELECTED MATCH AND/OR DISCUSS YOUR POTENTIAL PAIRING WITH A MATCH WITHOUT YOUR PRIOR APPROVAL. Your profile will only be sent to selected matches for the purpose of determining the matches’ interest in you. The Matchmaker will provide your profile information to a match to the extent that this information would be available through the basic eHarmony Services. As an example, a Matchmaker may provide your photo, first name, occupation and list of favorite things, but would not provide your last name, address, phone number or email address without your prior written consent. Furthermore, you acknowledge that your Matchmaker may discuss his or her general impressions of you (gathered through your communications with the Matchmaker), not including any personally identifiable information, to a selected match. If a selected match responds positively to the Matchmaker’s communication, your Matchmaker will contact you with information about the selected match via your preferred mode of communication. Information provided to you by your Matchmaker about a selected match will be limited to information that would be available to matches using the basic eHarmony Services. After a positive response by a selected match, you and your Matchmaker will decide on the best way for communication to proceed between you and the match. If a selected match does not respond to a Matchmaker’s communication or responds negatively, your Matchmaker will not notify you of the communication or provide information about this match. Your Matchmaker will not provide your personal contact information to a selected match or vice versa without the prior written approval of the person whose information is to be disclosed. Background checks and Endorsements In accordance with the eHarmony Services general Terms and Conditions of Service, EHARMONY DOES NOT CONDUCT BACKGROUND CHECKS ON ITS MEMBERS. Furthermore, Matchmaker feedback or recommendations are not endorsements. As in the use of the basic eHarmony Services, we strongly encourage you to read our Safety Tips prior to communicating with or meeting any of your eH+ matches. Arranging Dates Neither eHarmony nor the Matchmaker will be responsible for arranging personal meetings between you and your match(es) or for ensuring positive results or any other aspect of such meetings. Introduction Guarantee eHarmony will provide you with a Match Attribute page, which lists the top attributes you require in a match, for your review and acknowledgement. If your Matchmaker reasonably determines that a match shares most of the attributes on your Match Attribute page, such match is considered by eHarmony as eligible for an Introduction (“Eligible Match”). An Introduction happens when an Eligible Match expresses interest in meeting the applicable eH+ member and is subsequently “introduced” to the member by the Matchmaker via the eH+ system. Depending on the type and length of eH+ plan you purchase, eHarmony will deliver a minimum and maximum number of Introductions. The specific number of Introductions will be included in a separate, signed Service Agreement between you and eHarmony. NOTE: New York State residents will receive a minimum of 1 Introduction per month for any eH+ plan. Fully refundable if a refund request is made within 3 business days of purchase in accordance with the general Terms and Conditions. For any refunds requested after the initial 3 business days, eH+ members may obtain a partial refund after paying a $1,000 early termination fee and the pro-rated balance of their subscription up to the date of termination. Except as set forth in this Section (j), eHarmony’s General Terms refund policy shall apply. Reservation of Right We reserve the right to change the assignment of Matchmakers as necessary in order to provide the Service. Notwithstanding anything to the contrary, we reserve the right at our discretion to cancel your eH+ service at any time by providing you with an appropriate refund (if warranted). To the extent permitted by law, we reserve the right to deny the provision of eH+ to anyone. The cancellation and refund terms in our eHarmony Services terms and conditions are applicable to eH+. Message Tracker is a service that provides you with a notification within your eHarmony account when a match has opened your Guided or eH Mail message. 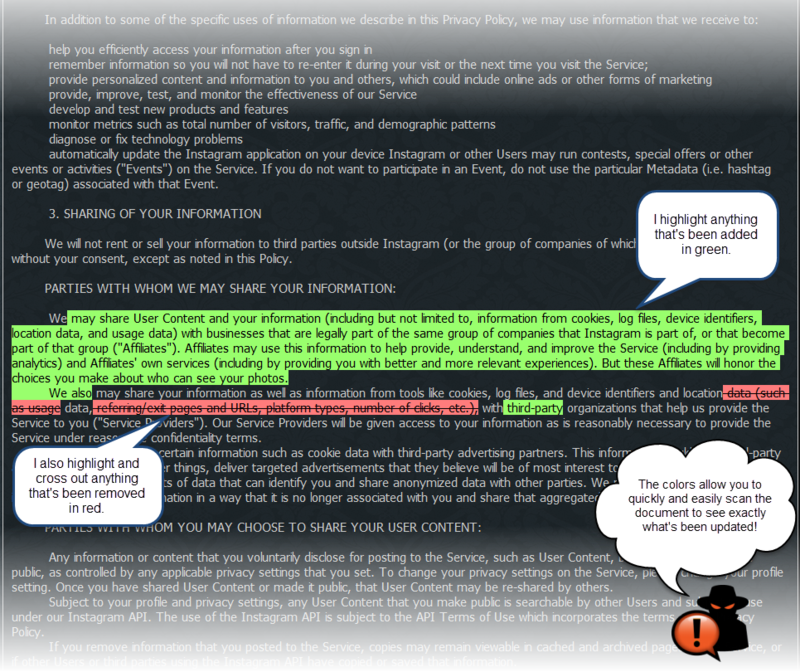 The following terms and conditions govern your use of Message Tracker. Purchasing Message Tracker Message Tracker may be purchased in the communication portal for any open match. After confirming that you wish to purchase Message Tracker for a match (“MT Match”), a Message Tracker fee will be charged by us to your card/account on file. A-la-carte Service Message Tracker may only be purchased on an a-la-carte or individual basis. This service is not currently available as part of another product or service. One Message Tracker Per Match You agree that each purchase of Message Tracker will be applied to communication between you and only one match. Notifications for additional matches will require separate Message Tracker purchases. Notifications You will continue to receive Message Tracker notifications for as long as communication between you and the MT Match continues through eHarmony. For messages sent after your purchase of Message Tracker, you will receive’ read receipt’ notifications via email and you may access ‘read receipt’ notifications on your dashboard portal and match communication portal for the MT Match after that match has opened your message. For messages that were sent to an MT Match prior to your Message Tracker purchase (but after March 31, 2014), you will be able to access the ‘read receipt’ notification only in your match communication portal after the match has opened your message. No Refunds You acknowledge and agree that we will not refund you at any time after purchase of Message Tracker unless we are not able to deliver the service. A lack of notification due to a match’s failure to open your message does not constitute non-delivery on our part. Incognito is a service which enables you to view your open matches’ profiles anonymously, and is available for purchase to eHarmony Singles subscribers only. When you view a match with Incognito, your match will receive notification that another member has anonymously viewed his or her profile. Access to Incognito. If you purchased Incognito on an a la carte basis, the service is available to you for the current term of your subscription and shall expire upon the expiration or termination of your subscription to the eHarmony services. Incognito will renew for subsequent terms in accordance with the terms Agreement. Renewal. Your Incognito subscription will renew monthly at the rate disclosed during your initial purchase. Specific terms related to renewals may be reviewed in the main Agreement. If you'd like to be notified when eHarmony.com makes updates to documents like this, choose which ones you'd like to subscribe to today (it's free! ).